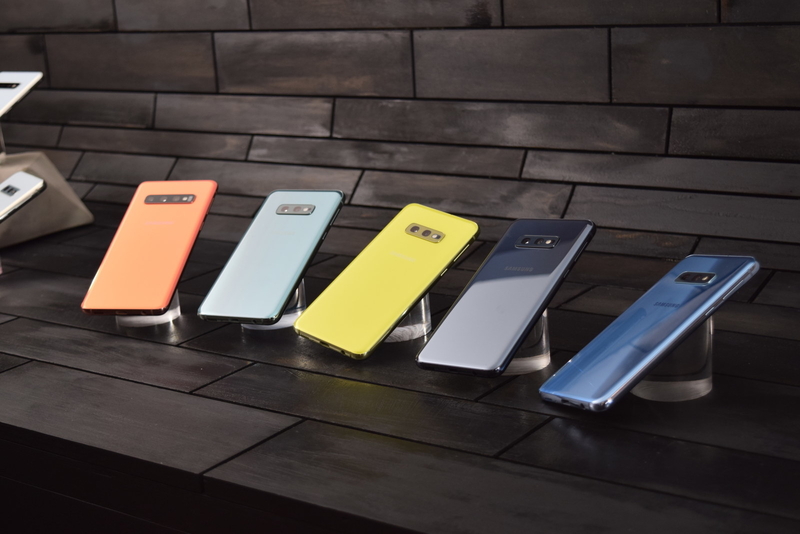 Today, Samsung is announcing its latest Galaxy phones: the S10, the S10+, and a less expensive, relatively smaller S10E. 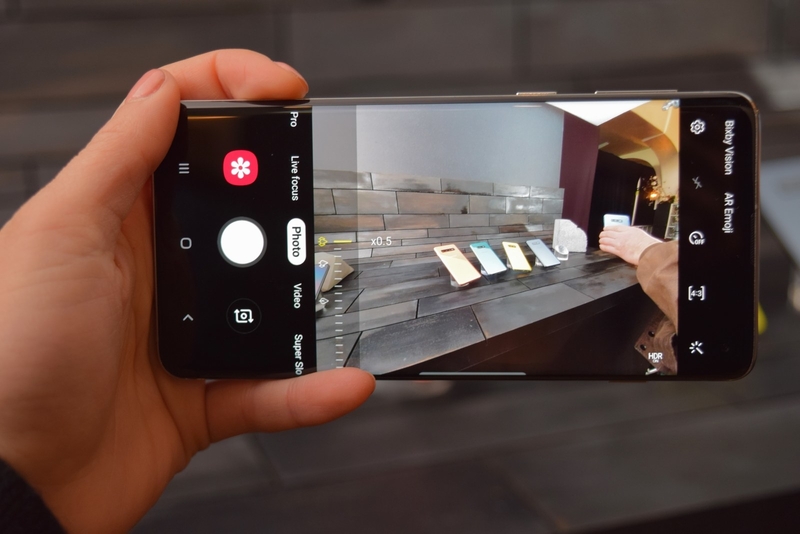 New features include more conveniently placed fingerprint sensors, an ultrawide camera lens, “super steady” video capture, and the ability to use the phone’s battery to charge other Qi-certified, wireless charging-enabled devices. Plus (pay attention, headphone purists), unlike other flagship phones, the Galaxy S10 still has an audio jack. 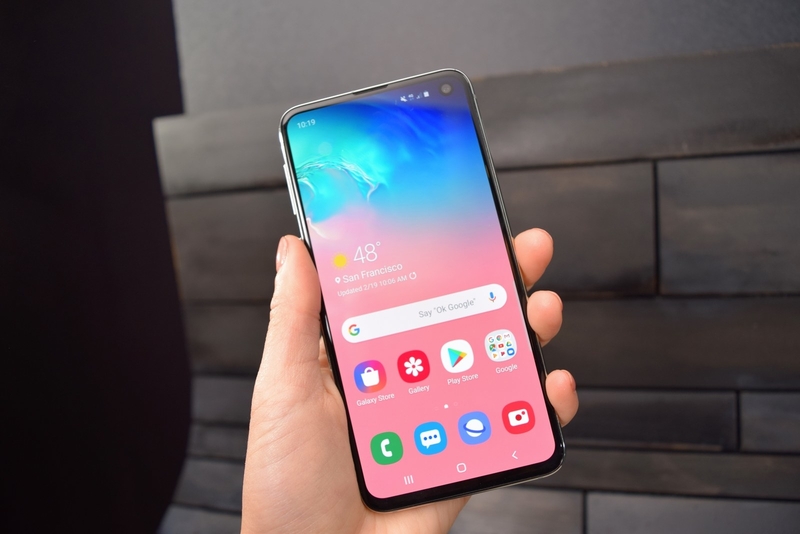 Here’s a look at the S10’s most noteworthy new features, and everything you need to know if you’re wondering whether to upgrade to the latest Android phone. 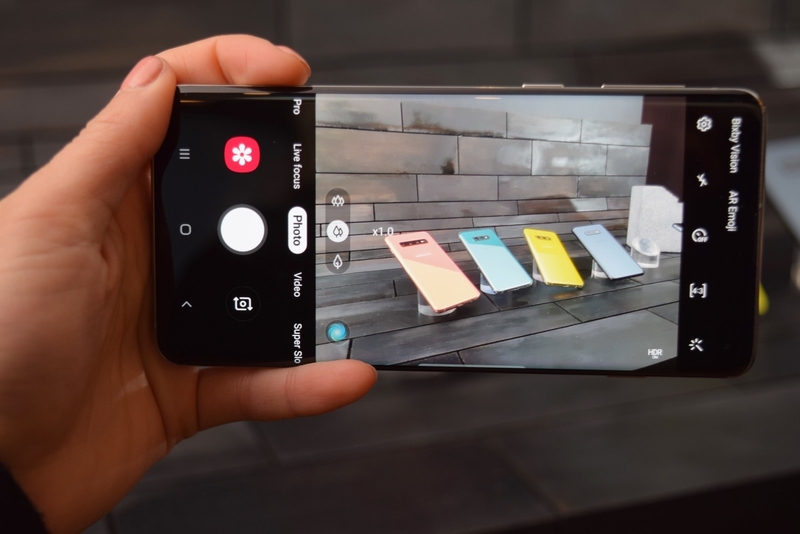 The most exciting thing Samsung unveiled was its new “small” phone, the Galaxy S10E. Over the last few years, phones have gotten bigger and bigger. While some consumers prefer the expanded screen size to stream movies or read text in larger font sizes, large phones don’t work for everyone — particularly those with small hands and pockets. 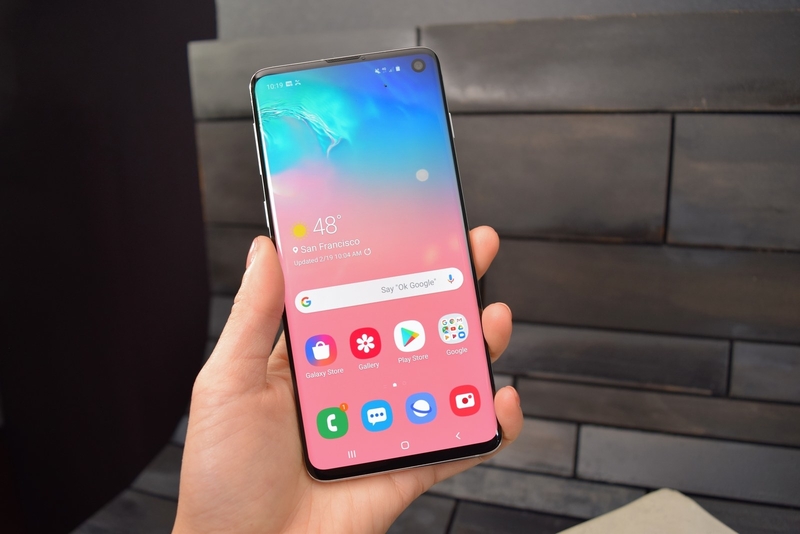 The new Galaxy S10E is relatively smaller than its counterparts, the S10 and the S10+, with a 5.8-inch display. But it’s actually the same size as last year’s Galaxy S9, bigger than the Pixel 3 and the same size as the iPhone XS. 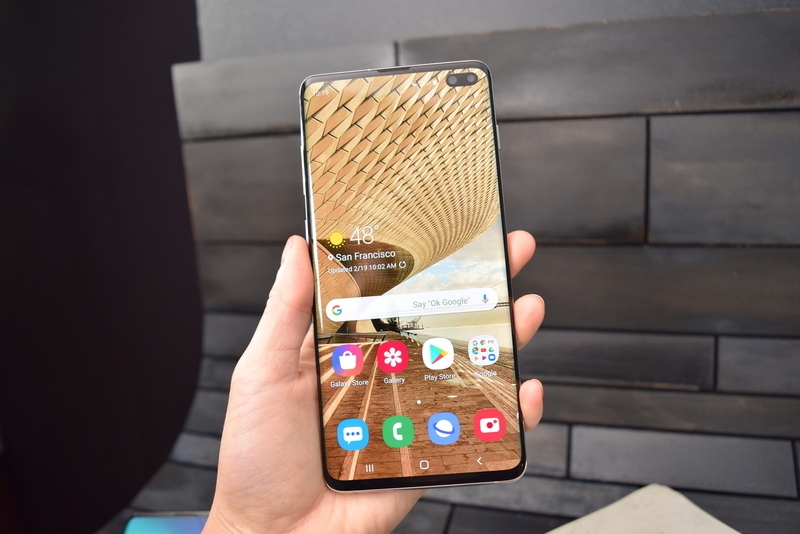 The big difference is that the S10E includes many of the same features as the larger models, namely a second telephoto lens for zoomed-in photos, in addition to a normal wide-angle lens. Previously, Samsung’s smaller Galaxy offerings had an inferior camera system, without a zoom lens. 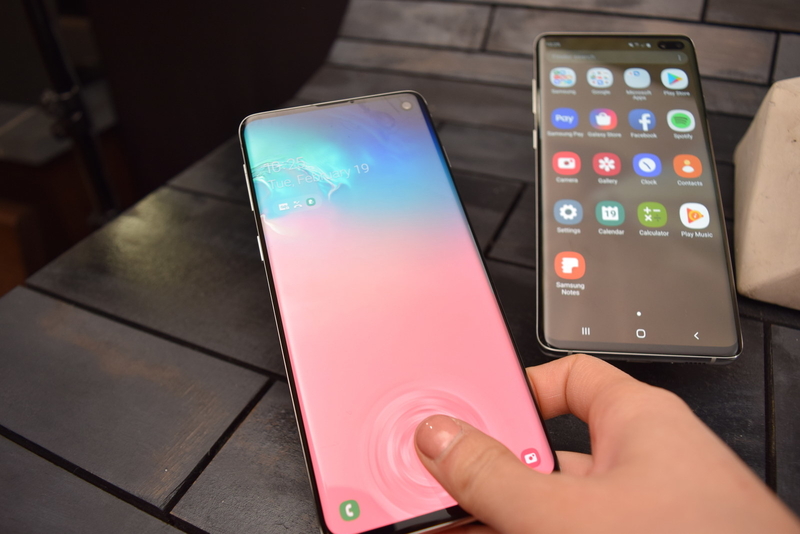 The Galaxy S10E’s flat edge (left), compared to the Galaxy S10’s curved edge. 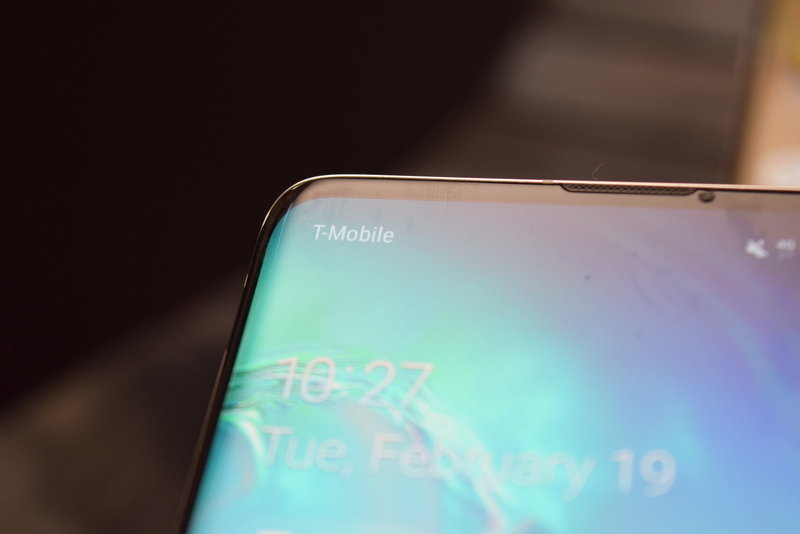 One feature that the S10E does not have is Samsung’s new invisible, underscreen fingerprint scanner that the other new phones do. 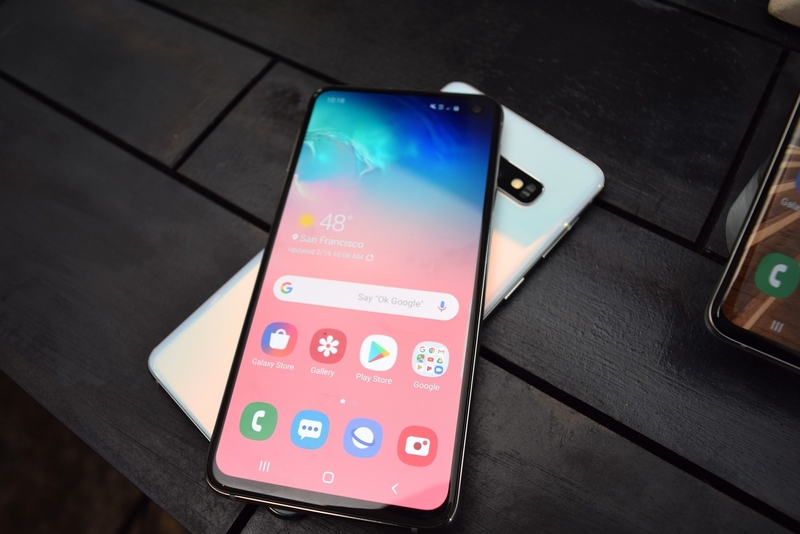 Instead, the S10E’s fingerprint authentication is embedded into its power button, similar to the Pixel 3. 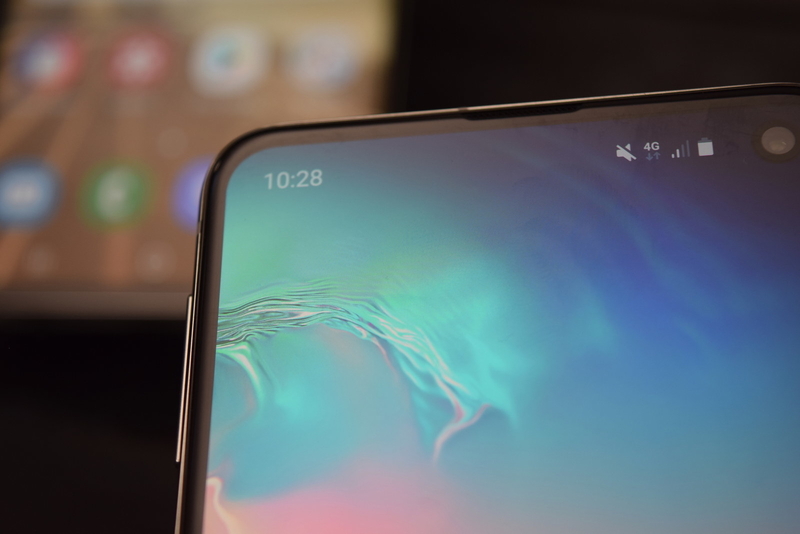 Additionally, the S10E has a screen with flat edges, while the S10 and S10+ have curved edges. Not surprisingly: The Galaxy S10 and Galaxy S10+ are absolute units. 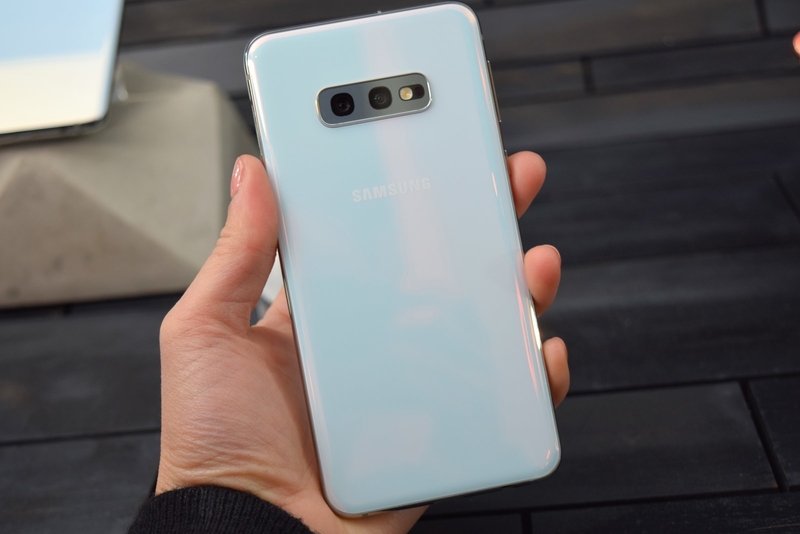 The Galaxy S10 has a 6.1-inch display (about the size of last year’s S9+), and the Galaxy S10+ has a 6.4-inch display. The screens are curved around the edges, like their previous models’. The new devices include an invisible fingerprint scanner underneath the phone’s screen for easy unlocking. In last year’s model, the Galaxy S9, the fingerprint scanner was located on the back, next to the camera. The placement often led to smudged, fingerprint-covered lenses. Now, you can unlock the phone by pressing on the bottom of the screen, where you’d expect the “home” button to be. A fingerprint icon pops up when you wake up the phone’s screen, providing a visual guide to help you place your thumb. In the S10, Samsung ditched iris scanning as a device unlock method (perhaps because it was easily tricked by hackers). Face recognition remains available. The S10 and S10+ now have three camera lenses instead of two. In addition to the 45-degree zoom lens and standard 75-degree wide lens, there is now a *third* ultrawide 123-degree lens designed to capture the human eye’s field of view. You can tap to switch between the lenses at the bottom of the screen in the camera app. There’s also a “Super Steady” video capture feature that uses digital stabilization technology for action shots that aren’t shaky. The rear camera can also record footage in HDR10+, a high dynamic range format created by Samsung. 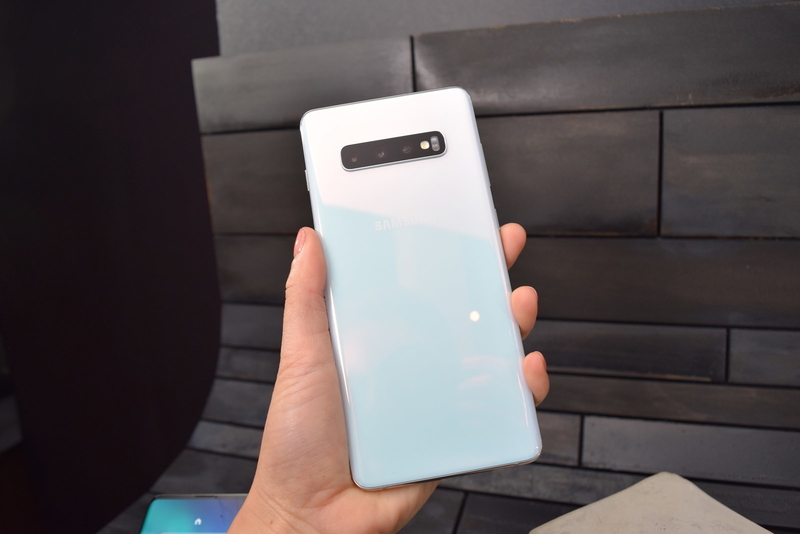 One of the more interesting new features is Wireless PowerShare, which turns the Galaxy S10, S10E, and S10+ into a charging pad. Samsung is so confident that its once-exploding batteries are now safe that the Galaxy S10 can charge other phones! With its own battery! You can turn the setting, called Wireless PowerShare, on via the phone’s control panel. Once it’s enabled, the phone can charge any Qi-compatible device (like Samsung’s wireless earbuds, Galaxy Buds) from its back. 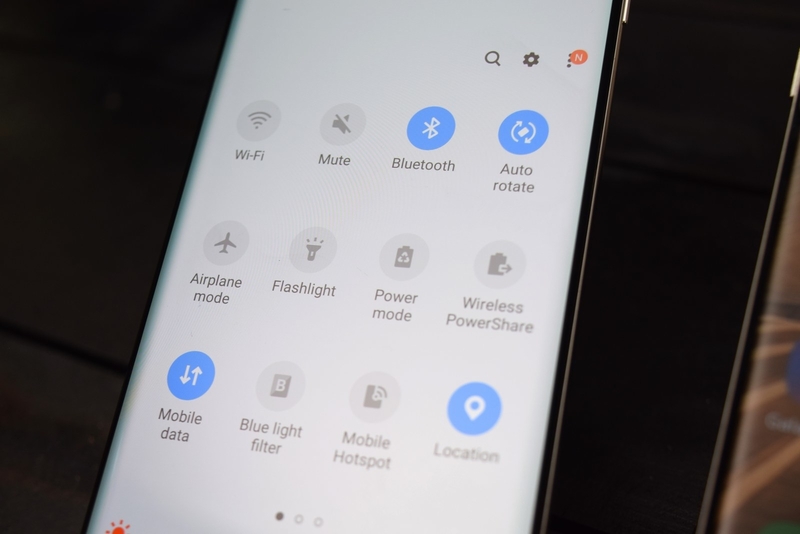 If the phone doesn’t detect a device, PowerShare will automatically turn off (according to Samsung, the feature may affect call reception and data services). Using it won’t completely drain the device — it will charge a second device until the phone hits around 30% battery level. A Galaxy S10+ charging a Galaxy S10E using Wireless PowerShare. 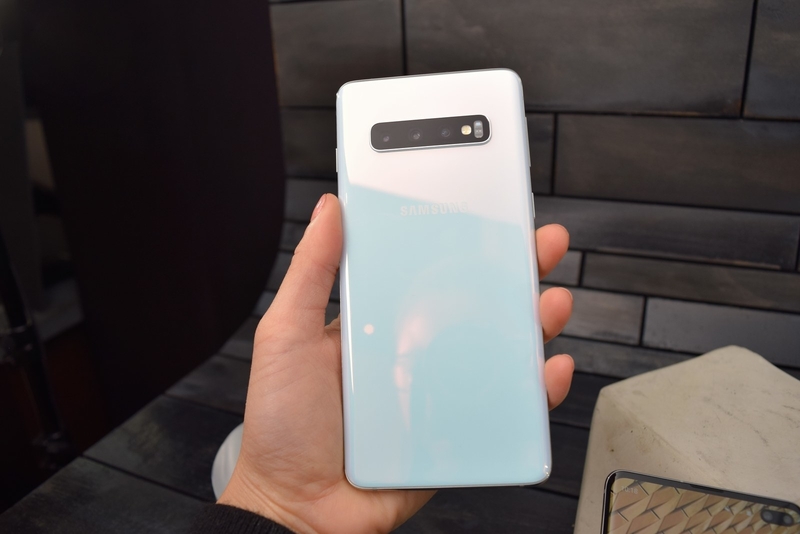 Another model, the Galaxy S10 5G, is the first Samsung phone to be compatible with faster, more reliable 5G cellular networks. 5G is only available in a few US cities, including parts of Houston, Sacramento, Los Angeles, and Indianapolis. Samsung’s 5G phone will be exclusive to Verizon for the first half of 2019. This summer, it’ll be available through AT&T, Spectrum, Sprint, T-Mobile, and Xfinity Mobile. The new phones cost $749.99 for the S10E, $899.99 for the S10, and $999 for the Galaxy S10+. Preorders begin on Feb. 21, 2019, and phones officially go on sale on March 8.